We are engaged in offering ARCHITECTURAL CONSULTANCY (Residential & Commercial) to our valuable clients. In tune with clients' detailed requirements and specifications, our experts develop a creative idea or plan before rendering these design service. Shree helps in Architectural Consulting Services to create outstanding healthcare facilities for healthcare providers, owners, clinicians, architects and contractors to deliver world-class facilities. Our organization is engrossed in providing high quality Architecture Consulting Services to our esteemed clients. Our architecture consulting services are extensively demanded in different corporate and commercial places for designing the interior of the office. 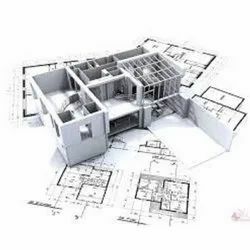 As per the requirement of our customers, we are rendering our architecture consulting service as per customer's specifications. Consulting architects are business owners or managers who own or work for independent architecture or multidisciplinary design firms.